Welding Screens and welding work booths we provide are designed for maximum safety and control from major workshop hazards like welding sparks, toxic fumes, metal fragments, Ultraviolet(UV) radiation caused by arc welding, intense light that causes eye irritation and retinal damage. Our Welding screens provide a complete solution to the difficulties faced in organizing work areas and to improve safety. Our welding screens complies with industrial standards in light transmission for screens and curtains used for welding operations. 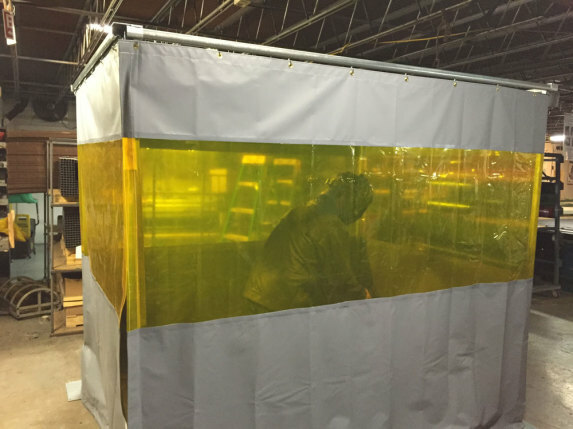 Welding enclosures isolate weld splatter and prevent toxic fumes from spreading to other work areas, as well as protecting the nearby workers from eye injuries. High visibility welding screens helps in monitoring the worker and welding process from outside the enclosure and thus solves difficulties caused by a solid wall barrier which costs more and not a practical option in many instances. Erecting wooden or metal partitions, hanging opaque canvas sheets from the ceiling to floor, all of these methods do not provide worker protection and safety. Our Welding Curtains and strips are highly flexible which is safe from wear and tear caused by harsh environment of the welding booths. 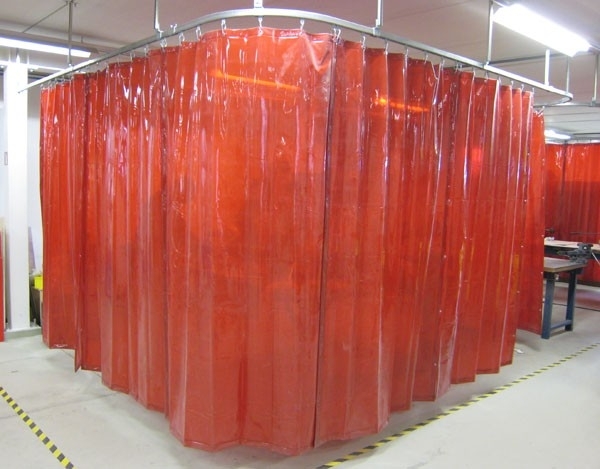 Flexible welding curtains created by heavy-duty vinyl curtains and portable welding screens helps in fast set-up and provides adequate protection and flexibility. Kallerians welding and safety screens are made from specially formulated PVC material infused with UV light absorbers ensuring maximum protection from dangerous UV radiation. 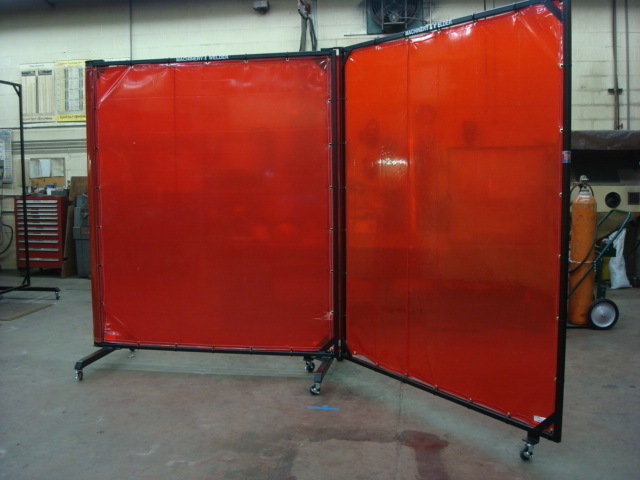 We provided wide range of welding screen mounting option and screens can be tailor made for your specific requirements. Wide application areas, have proved our welding and safety screens are superior to conventional welding screens and curtains. 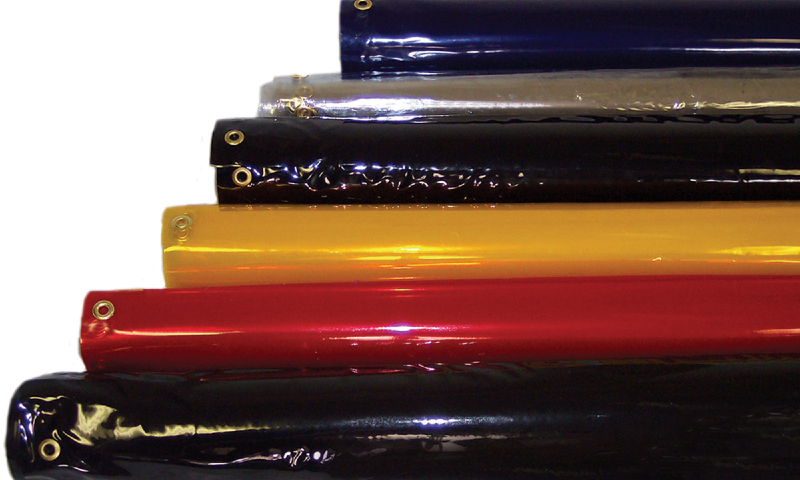 Our screens are highly tested for visible light transmittance and UV protection. Also our welding and safety screens provide easy access to welding booths and flame retardant, where a single welding splatter can cause devastating effects. Call us at +91 9841403938 or email us at info@pvcstripcurtains.com for more information on Welding Screens.